Ben Kincaid's been told he's lucky; everybody wants to be his friend. He's not so sure about that kind of luck because it comes with a price. When you're juggling feelings for the one who got away, it's not easy to make lemonade from the lemons life keeps throwing at you. Ben doesn't want everyone, he just wants one. The one. Matt returns home to Crow Creek to settle a score with his dad and lay to rest demons that have haunted him for years. He's made some spectacular mistakes that cost him dearly: his career in the military and the trust of his brothers-in-arms. He's willing to spend a lifetime to atone, but his past dogs him at every turn. Ben's and Matt's paths cross when they discover Matt's father has gone missing from a cattle drive in the high country of the Absaroka Range. What starts as a simple search and rescue turns into a race against time when rustlers and the forces of nature conspire against them. Both men discover the wilderness will test their mettle and their bravery, but the ultimate proving ground lies in overcoming the challenges to their minds and hearts. A good story that is an enjoyable listen. Matt and Ben are wonderful characters who develop feelings for one another as they are searching for Matt's father. This story has suspense, drama, romance, and hot cowboys! I truly like Ben and after everything he's been through with his unrequited love and being let down by love, he really deserves his HEA! Yay Ben gets a story of his own! 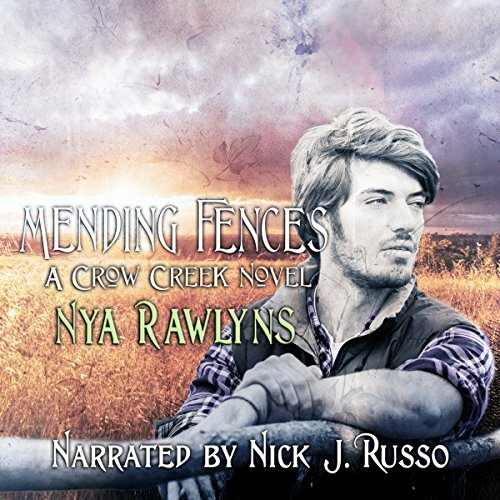 This is book 6 in the crow creek series and though you could probably read this one on its own it is best to read this series in order as most characters recur. I am so happy Ben finally gets his story. In the last book I had kind of gotten to where I didn't like Ben as much as he was like everyone's friend with benefits but in this one, he finally shows his full potential. Matt has been down on his luck. Now that he is out of the military on a dishonorable discharge, he feels like a failure in all aspects of life so he is coming home to talk to his dad. They find out that there has been a rustling on the drive Tom, Matt's father and Ash's foreman was on and The guys all set out on search and rescue. This book is emotional, action-packed and just plain good. I got a bit confused about the rustling when drug runners were mentioned but all in all, it was nail-biting suspense as the guy's team up to save Tom and Matt's dad from the rustlers and the oncoming storm. I could listen to Nick J Russo all day. He has such a nice voice, good pacing never feels like he is just reading a story and the characters just come to life. I enjoyed listening to Mending Fences a lot. Its a lovely story with amazing narration. Nick Russo brings Ben and Matt to life with so much charm and personality. This is my first book in Crow Creek series so it took me few minutes to figure out the dynamic between few side characters, and now I want to read the series form the beginning. I like the suspense of the story but the romance part was a little rushed. I felt like I skipped a few chapters and bam they are in love. Overall good story and great narration by Nick J Russo.